If you're looking for a training collar that's great around the house as well as in the field, look no further than DT Systems' H2O 1850 PLUS. This 1 mile range collar system has 16 levels of momentary (or Nick) and Continuous Stimulations. It also has our a beeper/locator that is audible from up to 450 yards away. Both the collar unit and the transmitter are completely waterproof. In fact, the transmitter will actually float on water; perfect for waterfowlers who spend more time on the water than the ducks do. And if you ever decide to get more dogs, the H2O 1850 PLUS can expand to a 2-dog system with Add-On Collar (sold separately). 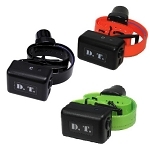 The Beeper/Locator is controlled from the handheld transmitter and is audible from up to 450 yards away. There are 3 functions: Locate, Run & Point mode, and Point Only mode. 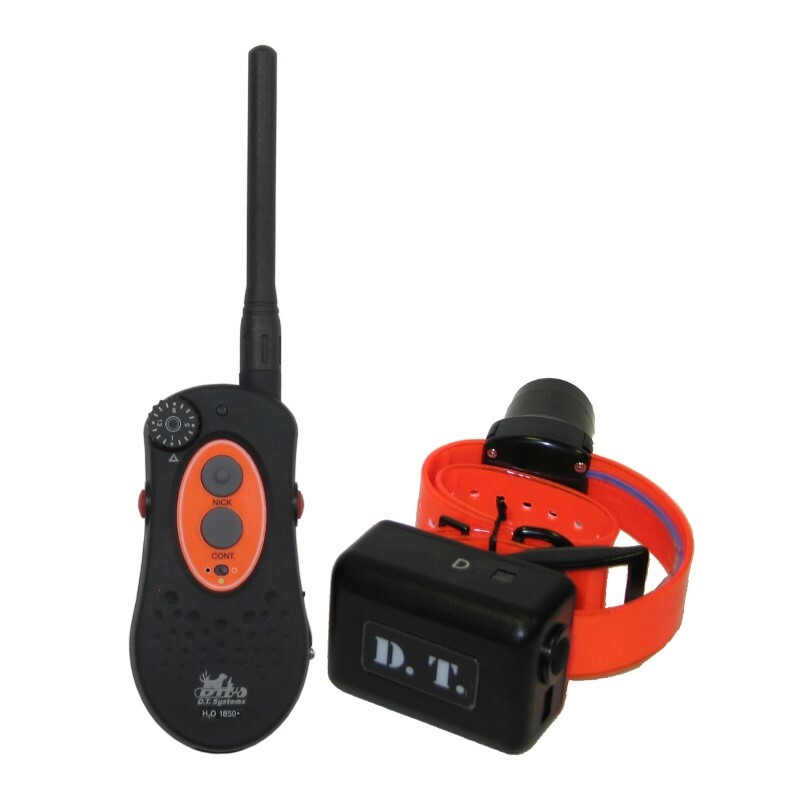 The Locate button will make the collar unit beep any time it is pressed to help you locate your dog. The Run & Point mode will make the collar beep one way while your dog is on the move and another way when he stops to point. The Point Only mode will make the collar beep only when your dog has stopped to point. H2O 1820 PLUS The H2O 1820 PLUS comes with Nick and Continuous Stimulations, and Positive Vibration.